Optiemus Infracom, the company with the licensing rights to the BlackBerry smartphone brand in India, has released two new devices in the mid-range and premium mid-range segments. The BlackBerry branding means a higher price; the BlackBerry Evolve and Evolve X will compete against smartphones in the flagship category despite middling hardware. The BlackBerry Evolve is priced at Rs 24,990, while the Evolve X has a price tag of Rs 34,990. Optiemus and BlackBerry have not announced availability dates yet, but both will go on sale on Amazon, with the Evolve at end of August and Evolve X in September. The Evolve and Evolve X have a similar design, and both also feature dual cameras on the back along with signature BlackBerry features, without the QWERTY keyboard seen on the Key2. The phones do have one interesting feature which is not seen all that often. 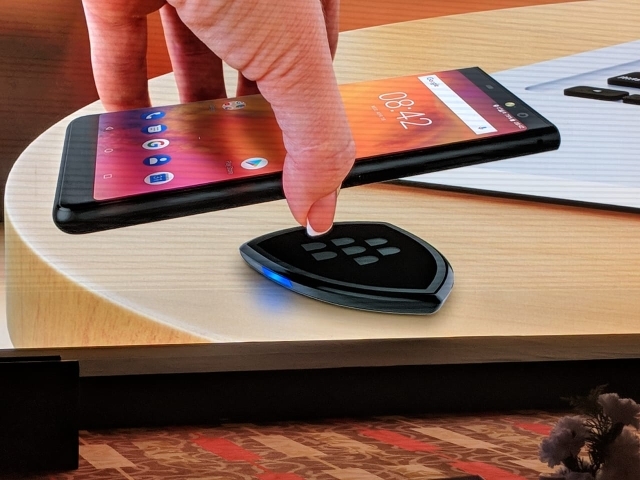 The Evolve X also has wireless charging support, and BlackBerry also announced its first wireless charger for 7.5w fast charging. The phones run Android 8.1 Oreo. The lower-end Evolve is powered by a Qualcomm Snapdragon 450 SoC, and has up to 4GB of RAM along with 64GB of internal storage. 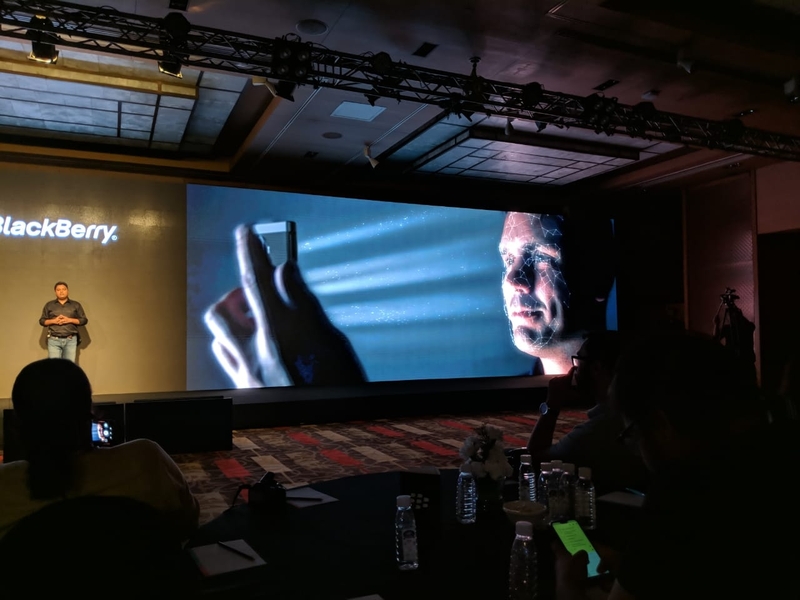 The Evolve X gets a higher-end Snapdragon 660 SoC, also seen on the Nokia 7 plus and the Mi A2, which has an Adreno 512 GPU. The Evolve X gets up to 6GB of RAM and 64GB storage. Both Evolve phones feature a 5.99-inch full HD+ LTPS display with a 1080×2060 pixel resolution. BlackBerry claims a peak brightness of 500 nits and the glass gets a oleophobic coating to keep smudges to a minimum. Coming to the dual cameras on the phones, the Evolve features a 12+13 MP combo with a f/1.8 + f/2.6 aperture respectively. The pixel size is 1.4 um and 1.0 um respectively in the cameras which feature a six-piece lens. The Evolve X gets a monochrome sensor along with one RGB sensor in a 13+13 MP combo on the back. Both lenses here are f/2.0. 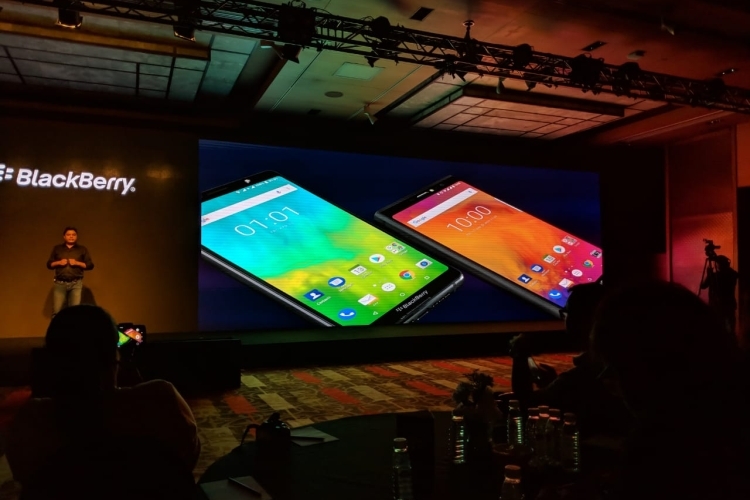 On the front, both phones have a 16MP f/2.2 front flash with a 178 degree FoV and tetra-pixel binning tech for better low light performance along with real-time bokeh. Both phones have a fingerprint sensor on the back, but the front camera will be used for Face Unlock. It remains to be seen how secure this method is since security is a big focus of the software experience of the Evolve line-up. Also common is the 4000 mAH battery and the BlackBerry-specific features for power management, and other software features, such as root protection, a hardened Android fork, secure boot, the dtek security app, a password keeper, privacy shade among others. Software features also include a dark mode, productivity tab and the BlackBerry Hub unified messaging section. While all that sounds great, we have a feeling Optiemus will have a tough time selling this phone as other brands offer similar value at a lower price. In fact, the Asus Zenfone 5Z and OnePlus 6 offer much better hardware and a more premium experience for around the same price.